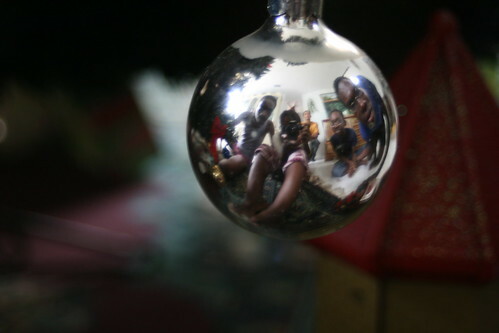 Noticed that I was being reflected in the ornaments while trying to take photos of them, so I gathered the siblings around and took a photo of the 4 of us in an ornament. I think I may give my Mom a high-res print of this for Christmas next year? Shhh!